We overview studies of the natural variability of past climate, as seen from available proxy information, and its attribution to deterministic or stochastic controls. Furthermore, we characterize this variability over the widest possible range of scales that the available information allows, and we try to connect the deterministic Milankovitch cycles with the Hurst–Kolmogorov (HK) stochastic dynamics. 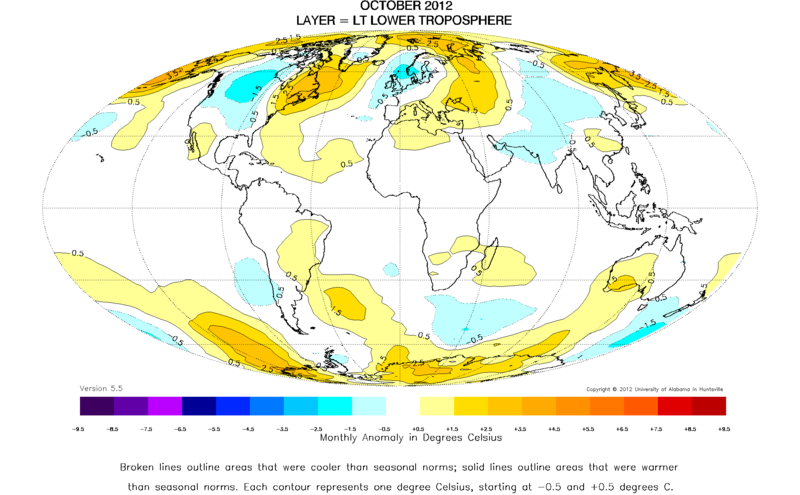 To this aim, we analyse two instrumental series of global temperature and eight proxy series with varying lengths from 2 thousand to 500 million years. In our analysis, we use a simple tool, the climacogram, which is the logarithmic plot of standard deviation versus time scale, and its slope can be used to identify the presence of HK dynamics. By superimposing the climacograms of the different series, we obtain an impressive overview of the variability for time scales spanning almost nine orders of magnitude—from 1 month to 50 million years. An overall climacogram slope of -0.08 supports the presence of HK dynamics with Hurst coefficient of at least 0.92. The orbital forcing (Milankovitch cycles) is also evident in the combined climacogram at time scales between 10 and 100 thousand years. While orbital forcing favours predictability at the scales it acts, the overview of climate variability at all scales suggests a big picture of irregular change and uncertainty of Earth’s climate. The available instrumental data of the last 160 years allow us to see that there occurred climatic fluctuations with a prevailing warming trend in the most recent past. However, when this period is examined in the light of the evidence provided by palaeoclimate reconstructions, it appears to be a part of more systematic fluctuations; specifically, it is a warming period after the 200-year ‘Little Ice Age’ cold period, during a 12,000-year interglacial, which is located in the third major icehouse period of the Phanerozoic Eon. The variability implied by these multi-scale fluctuations, typical for Earth’s climate, can be investigated by combining the empirical climacograms of different palaeoclimatic reconstructions of temperature. By superimposing the different climacograms, we obtain an impressive overview of the variability for time scales spanning almost nine orders of magnitude—from 1 month to 50 million years. Two prominent features of this overview are (a) an overall climacogram slope of -0.08, supporting the presence of HK dynamics with Hurst coefficient of at least 0.92 and (b) strong evidence of the presence of orbital forcing (Milankovitch cycles) at time scales between 10 and 100 thousand years. While orbital forcing favours predictability at the scales it acts, the overview of climate variability at all scales clearly suggests a big picture of enhanced change and enhanced unpredictability of Earth’s climate, which could be also the cause of our difficulties to formulate a purely deterministic, solid orbital theory (either obliquity or precession dominated). Endeavours to describe the climatic variability in deterministic terms are equally misleading as those to describe it using classical statistics. Connecting deterministic controls, such as the Milankovitch cycles, with the Hurst–Kolmogorov stochastic dynamics seems to provide a promising path for understanding and modelling climate. Hazel joined with another storm system to devastate inland communities from Virginia to Ontario, Canada. Washington, DC experienced its strongest winds ever recorded……..In 1954, Hurricane Hazel…..underwent a similar rapid acceleration to a speed of 60 mph (27 meters per second), as strong south to southwesterly winds developed to the west of the storm. Hazel crossed the North Carolina coastline at 9:25 am on 15 October, and reached Toronto, Canada only 14 hours later where it resulted in 80 deaths (Joe et al. 1995). At that time, it was the most destructive hurricane to reach the North Carolina coast. Every fishing pier was destroyed over a distance of 170 miles (270 km) from Myrtle Beach, South Carolina to Cedar Island, North Carolina. All traces of civilization were practically annihilated at the immediate waterfront between Cape Fear and the South Carolina state line. “….tropical cyclones can become absorbed into developing mid-latitude storms thereby infusing added moisture and wind energy from the tropical cyclone and resulting in a more intense mid-latitude storm than otherwise would occur. Clearly, this later behavior is what made Sandy a much stronger storm than either a mid-latitude or hurricane would have been separately. In contrast to Hazel, however, Sandy was not as strong a hurricane. It also tracked towards the west as it interacted with the developing mid-latitude storm rather than accelerating northward as Hazel did. This resulted in the large fetch of easterly and southeasterly winds into northern New Jersey, Long Island and New Your City which produced the large storm surge. Our book also discusses the impacts of tropical cyclones which includes extreme winds, storm surge, tornadoes, flash flooding and riverine (i.e. large river) flooding. The analysis has yet to be completed, but I suspect that storm surge will attributed, by far, to largest economic damage. Also, with a storm of this magnitude, the National Hurricane Center, the National Center for Environmental Prediction, the media and public officials must be recognized and commended for their early warming. This has resulted in a much lower loss of life than would have otherwise occurred. The above outstanding analysis of the wind field of Hurricane Sandy by NOAA’s AOML Hurricane Research Division [h/t Frank Marks] further documents the size of tropical storm and hurricane force winds. As noted in their caption, these winds are valid for marine exposure over water and open terrain exposure over land. Other time periods and analyses can be viewed at their website – Sandy Wind Analysis. The Size Of Hurricane Sandy – How Does It Compare? 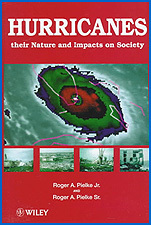 Pielke, R.A., Jr. and R.A. Pielke, Sr., 1997: Hurricanes: Their nature and impacts on society. John Wiley and Sons, England, 279 pp. 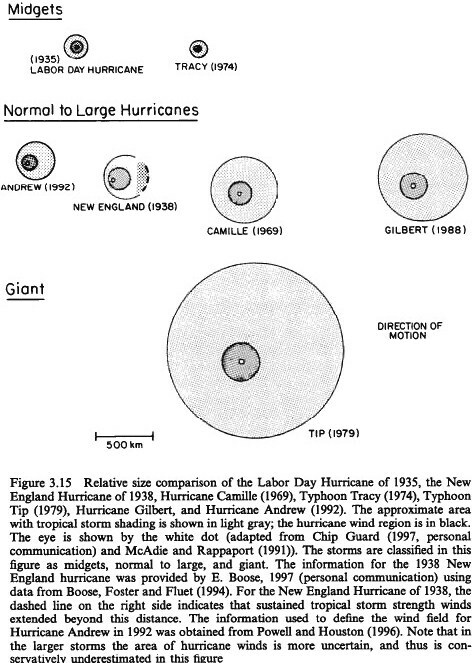 Hurricane Sandy provides examples of sizes of tropical cyclones that occurred in the past. 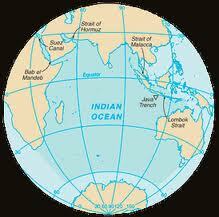 The largest, Tip in 1979, was from the western North Pacific Ocean. The size of Sandy, as reported by the National hurricane Center, is given for two time periods late in its lifetime below. 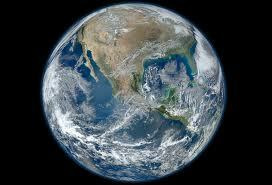 EXTEND OUTWARD UP TO 485 MILES…780 KM. For comparison with the figure from the book, the distance between 5 degrees of latitude in the figure below is 555 km (300 nautical miles or 345 statute miles ). Tip had tropical storm winds out to ~700km on the east side and hurricane winds out to about ~175 km from the eye. The analyses from NHC [shown below] show that Sandy’s size of tropical storm and hurricane winds were comparable to Tip, but, fortunately, the hurricane winds were much less in Sandy. Also, the radius of hurricane winds, appears to have contracted substantially at and right after landfall. Clearly, Sandy was a giant tropical cyclone, and rivals the largest ones in size that occur in the Pacific Ocean. A major difference with Tip, however, is that Tip attained wind speeds of up to 190 mph (305 km/h) and a central pressure of 870 millibars (25.69 inches of mercury) – see, while Sandy was a much more modest hurricane. This suggests the potential that if a major hurricane (such as Hazel from 1955) followed the same path as Sandy as it merged with a midlatitude storm system, a truly worse-case superstorm could occur. 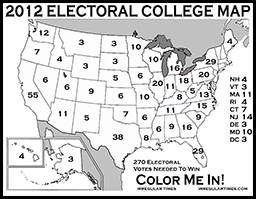 Thus the worse-case scenario, even with the current climate, did not happen with Sandy. Regardless, how, or if, the risk from hurricane landfalls of this type increases in the future, a prudent policy path would be to reduce the risk from all plausible hurricane landfalls. through more effective land use planning. 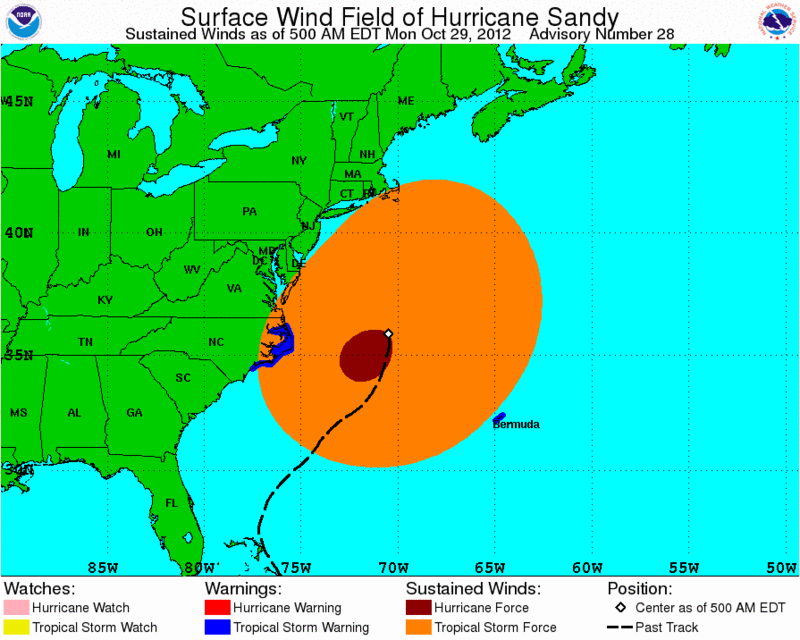 Comments Off on The Size Of Hurricane Sandy – How Does It Compare?